[LUCID LIVING #7] Is Science Really Empirical? The International Society for Theoretical Psychology holds its main conferences every two years in a different country. 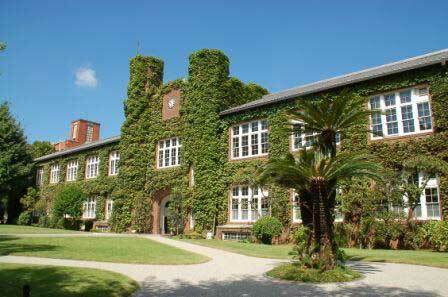 This year the choice was Japan, and last week its members came together in Rikkyo University, one of the most prominent private universities in Tokyo. For this conference, I was asked to give a keynote speech, which was quite an honor for me as an astrophysicist. Over the last twenty some years, I have been invited a number of times to talk at philosophy conferences, in the US, Europe and Japan. However, I had never before given a talk in front of a large audience of psychologists, and I was wondering at first what topic to choose. I had been told that my lectures at the first ISSA Summer School for which I was the main organizer, two years ago, had attracted the attention of the organizers. Therefore, my guess was that they would like to hear about my views of the nature of awareness, from the point of view of a physicist. I decided to focus on the question of objectivity of science. There is a widespread misunderstanding, among scientists as much as among others interested in science, that objectivity implies viewing everything as objects, while subjects can only be studied in subjective ways. However, what scientists call objectivity is in fact a form of intersubjectivity. When one scientist makes a statement, it is based on his or her subjective judgment, and other scientists may well disagree. But when the community of scientists converges on a shared conclusion, it will be incorporated into science textbooks. At that point the conclusion will be considered an objective truth. Scientists like to say that Newton's law of gravity is an objective truth, at least within the approximation of weak gravitational fields and low velocities. We now know that when approaching a neutron star or black hole, Newton's laws fail spectacularly, and we have to use Einstein's laws of gravity instead. And given a high enough accuracy, even under normal circumstances Newton's laws fail, which is the reason that GPS navigation needs to include post-Newtonian corrections. By the turn of the nineteenth century, a little over a century ago, most scientists would have told you that "science has shown that gravity obeys Newton's law, as an objective truth". The basis for that statement was that there was a complete consensus in the community of scientists that Newton's equations for gravitational attraction were universally true, as far as they had been tested. Strictly speaking, that meant that there was an intersubjective agreement. Such an agreement carries a lot of weight, given the amazingly successful way that science has exerted quality control within its own community. And most statements that have been thoroughly checked are likely to remain approximately correct into the indefinite future. Even so, there never is a guarantee that intersubjective agreement is immune to further corrections and refinements. In general, when a scientist tells you "science has shown that", watch out: such a statement can only be based on a current snapshot of scientific knowledge. In that sense, intersubjectivity will never be able to reach the stage of objectivity. It is not even clear what objectivity would mean, short of someone or something from outside our Universe, with absolute knowledge about everything within our Universe, making such a statement. A consequence of this realization is that there is no reason to expect that science can study only objects, and not subjects. So far scientists, including psychologists, have adopted a methodology of studying objects. When a psychologist designs an experiment, the subject of the experiment becomes an object of study for the psychologist, who remains "behind the curtains", so to speak, like an old fashioned photographer hiding behind a cloak. But there is no reason to assume that an intersubjective agreement would not be equally possible for the study of subjects as it is for the study of objects. So I chose as a title "When Will Science Become Fully Empirical?" My reasoning was as follows. Natural science is considered to be empirical. This is interpreted as based on experiments, controlled ways of interacting with the world, the results of which are read out by our senses. However, the root meaning of the word empirical is derived from the Greek ἐμπειρία, experience. And typical experiences we have consist of three parts: a subject, an interaction and an object. This is true for our dealing with the world, whether through sensory or motor experiences, and it is equally true for our thoughts, memories, fantasies. It is interesting that natural science, starting around 1600, has focused on the study of the object pole of experience, to the exclusion of studies of the subject pole of experience, or the interactions between both poles. It was a good way to get started, since objects are easiest to isolate, at least in first approximation, compared to subjects or interactions. In that way, it was a wise decision to start with the low hanging fruit in the way the world around us shows itself to us. A slide from my keynote speech. The third-person view of a subject (So) is a description, and very different from the first-person subject (S) that it is derived from, after passing direct experience through a filter that only allows scientific descriptions, followed by further processing. However, focusing only on the object pole of experience, while neglecting to conduct an equally detailed analysis of the subject pole and the interaction between the two, is only 1/3 empirical, strictly speaking. And the belief that it is even possible to obtain objective knowledge of objects, independently of the mode of interaction, was only a belief, and it turned out to be incorrect. Three centuries later, quantum mechanics showed that interactions and objects are entangled, and cannot be strictly separated. We could say that current understanding of matter is now 2/3 empirical, since it still excludes the subject pole of experience. In fact, the nature of subjects, as distinctly different from objects, has never been studied to any serious degree in natural science. However, we may soon be forced to extend science once again. Just as quantum mechanics made us wake up from our idealized dream of separability of objects and their measurements, so I expect that a similar awakening is awaiting us on the level of subjects. Concretely speaking, brain studies are already in the process of mapping out some form of dynamic dictionaries that increasingly attempt to translate third person descriptions of neuronal processes into first person conscious experiences, thereby making highly non-trivial links between the object side and the subject side of an embodied human being. I expect that, as a bonus of a detailed intersubjective study of the nature of subjects, we will gain a far better understanding of robots, or autonomous agents in general. It may well be that our ability to design better robots will increase significantly, once we view them not as very complex objects, but as qualitatively different entities, namely subjects. Such an increased understanding may well shed light on questions like free will, once we learn to see ourselves, too, as more than complicated machines with the illusions of having minds attached to them as emergent properties.